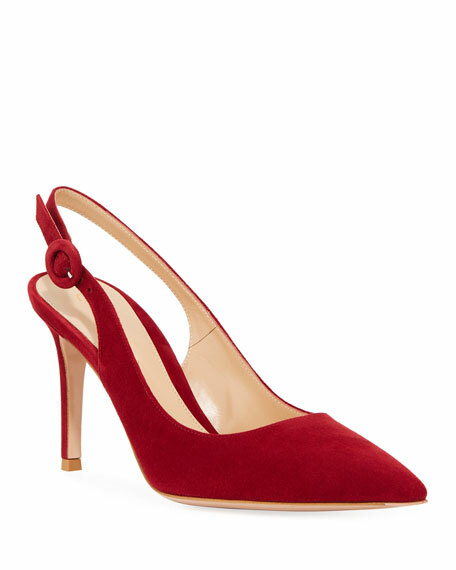 Gianvito Rossi pump in goatskin suede with round buckle detail. 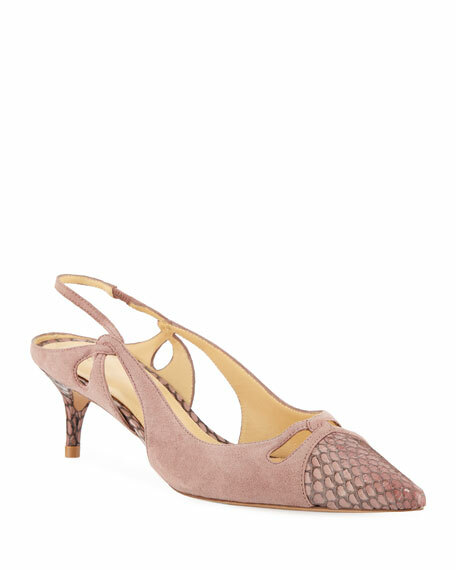 Alexandre Birman suede pumps with cobra snakeskin trim. 2" covered kitten heel. Pointed cutout capped toe. Slingback strap looped at sides. Slip-on style. Leather lining and sole. "Nanny" is made in Brazil. 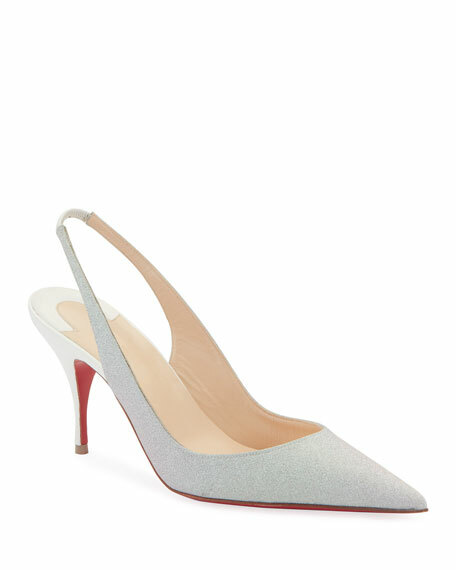 Christian Louboutin "Clare Sling" pump in glittery fabric. 3.1" leather-covered heel. Pointed toe. 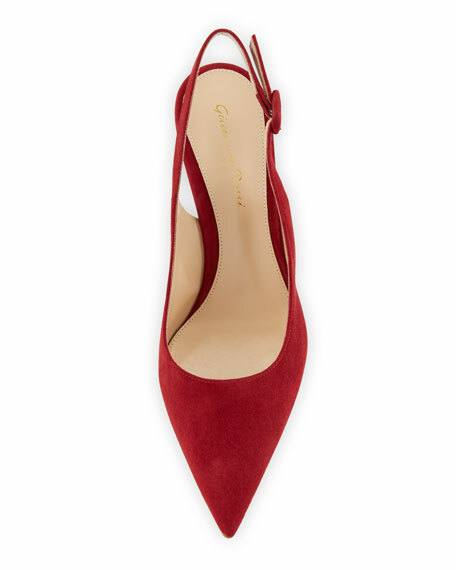 Elastic slingback. Leather lining. Signature red leather outsole. Made in Italy. 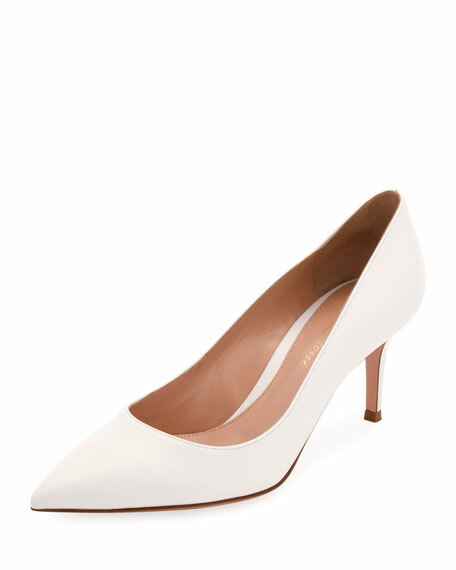 Gianvito Rossi pump with napa leather upper. 2.8" covered heel. Pointed toe. Topstitched collar. Leather lining and outsole. Slip-on style. Handmade in Italy. 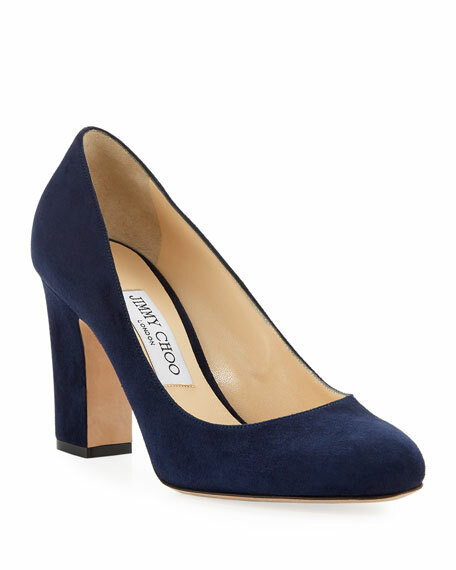 Jimmy Choo suede pump. 3.3" covered block heel. Round toe. Slip-on style. Padded footbed. Smooth outsole. "Billie" is made in Italy.